Knowing a family member going through this for the 3rd time I'll certainly be buying this book and encouraging others to do likewise. Not just will we get a good read but it will also be a worthy contribution towards fighting this horrible illness. Such a touching account of the authors true experience. I hope this book helps women who are putting off a mammogram for fear of a few minutes of discomfort realise how important this test is. I also hope it helps those who have been recently diagnosed draw strength from the positive outcome and frankness of the author as it follows the extreme ups and downs of her personal journey. 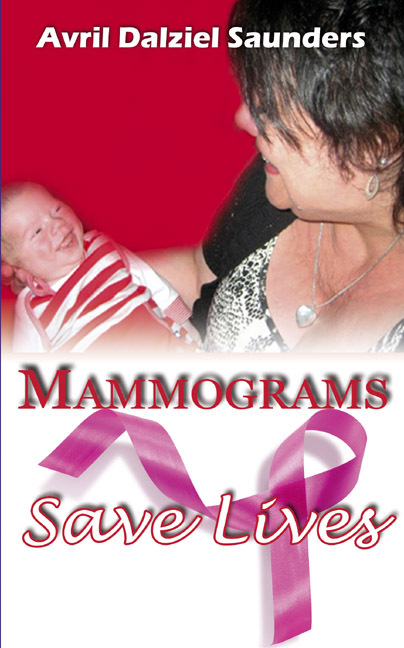 LADIES - BUY THIS BOOK AND HELP PUT AN END TO BREAST CANCER! Hope the book does well, Avril. I have a very close friend who went through the trauma of breast cancer and survived, although this book was not around at the time to help her, I am sure it will be an inspiration to others. All of the proceeds are going to charity, so I hope that this book does extremely well. Well done Avril most people know someone who has suffered with this horrible disease you are a inspiration to all. I wish you and all who are suffering my love and best wishes, well done. Well Done Avril, I hope that your book does well..I am looking forward to getting my copy. I am sure your experience and honesty will be of great encouragement and solace to a lot of people. Good Luck for the future.Katie.